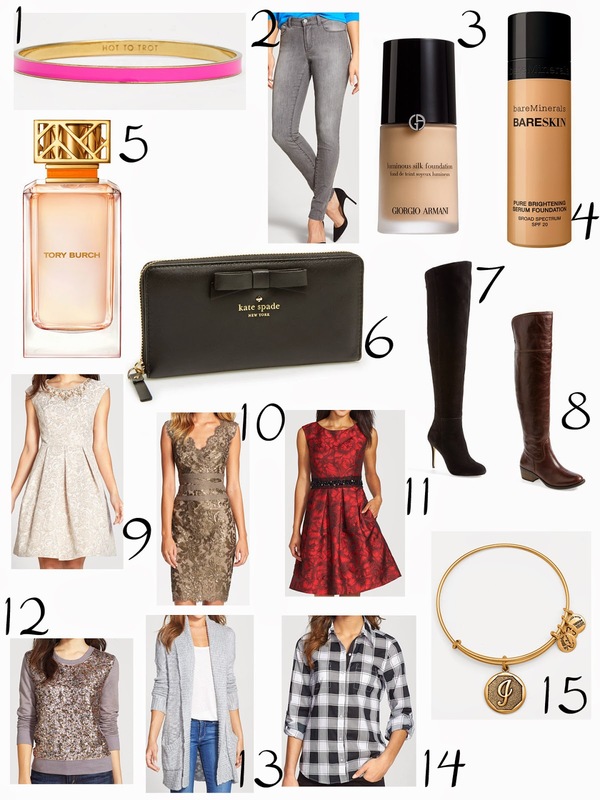 Since we are giving away a $50 gift card to Nordstrom we thought it would only be appropriate to share our favorite things based on the comments you left on our blog of what you would buy if you won! We also added a few things we are loving right now that you didn't name...we couldn't help ourselves! (How could we resist those holiday party dresses?) Take a look, and then don't forget to enter here for your chance to win the giveaway!